There have been over 16 million Volkswagen Jetta models sold across the globe since the model was introduced back in 1979. Almost a third of those have been sold in North America. It’s therefore not surprising that since its announcement, the 2019 Volkswagen Jetta has been one of the most highly anticipated cars of the upcoming year. The 2019 Volkswagen Jetta, like all new Volkswagen models, will be built on the brand new MQB platform. This structure, which also underpins cars like the Volkswagen Golf and Audi A3, offers a lot of benefits. The first of these is more interior space. The Jetta’s wheelbase has increased by three centimetres, and that means more cargo space and interior space for passengers. 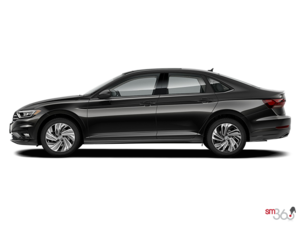 Visually, the 2019 Volkswagen Jetta has an almost coupe-like design that gives it a more dynamic look, but it is also retains its refined elegance. It will feature standard LED headlights for an added touch of luxury. Inside, there are high-quality materials and a ten-color ambient lighting setting. The entire cabin will also be customizable. High-end versions will get VW’s impressive Virtual Cockpit, which is a 12.3-inch digital instrument cluster that can also be customized. Apple CarPlay, Android Auto, adaptive cruise control, blind spot monitoring, autonomous emergency braking, rear traffic alert, and forward collision warning are just some of the technologies found on the 2019 Volkswagen Jetta. Under the hood, buyers will get a 1.4-litre turbocharged four-cylinder engine that delivers 147 horsepower and 184 pound-feet of torque. This engine will be paired with an eight-speed automatic transmission. We also expect a more powerful engine to be offered in the GLI version. 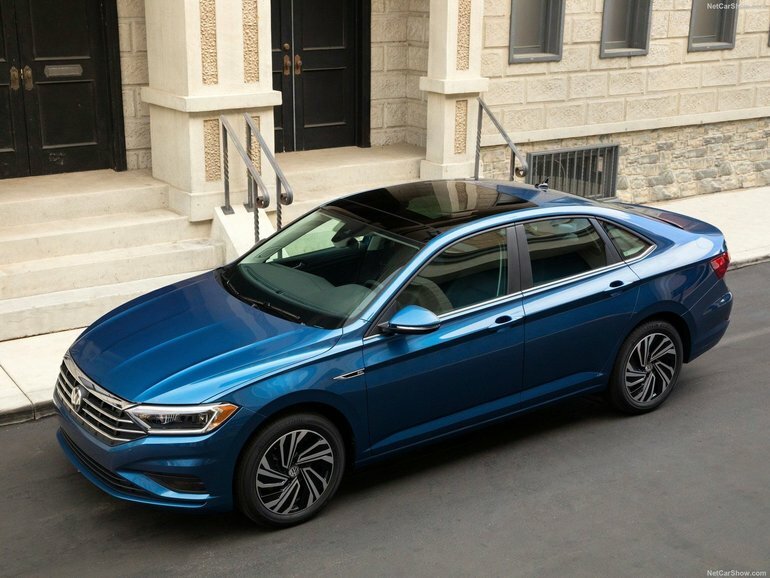 To learn more about the 2019 Volkswagen Jetta, contact us today at Simcoe Volkswagen!